Though anyone can be an archer, it's quite difficult to excel at shooting, especially when it comes to accuracy. First, you need to understand that you are going to be practicing -- a lot. If you're not practicing, you're never going to become a better archer. No one is born with accuracy skills, you have to work at them. Practice aiming off -- Aiming off is simply pointing your bow's sight pin at a point on the target that isn't the exact middle. Your body wants to aim in the middle, but you'll never be able to achieve 100% accuracy with a bow -- but you can get close. If you are hoping to hit the center of a target, aim a little bit to the left or right. Be sure to aim even more off in windy conditions. Only shoot a few practice arrows -- Many archers spend hours on end shooting arrows, but that doesn't help as much. Shooting between 10 and 15 arrows during a session will help you focus more on each shot, subsequently improving your accuracy. Plus, you won't have to walk and collect all your arrows as much. 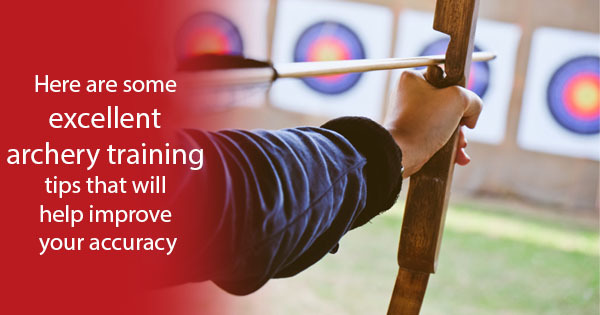 Utilize archery training devices -- Over the last few years, technology has reared its head across virtually all industries and fields -- archery is no exception. There are innovative archery release rehab devices and bow trainers that can help you increase your pull strength, overcoming target panic, and even improve your accuracy. Practice situational shooting -- To excel during your archery training, you should practice all kinds of pressure situations. Since it's difficult to simulate to the pressure of competition shooting, you should invasion that you're on a large stage with many archers surrounding you. If you want to learn more about bow trainers or archery rehab devices, give AccuBow a call right way.